Welcome to episode 103 of Podcast vs Player! This week, rambles. Lot's of rambles, because we lost the podcast script before we did it, so this week: Luke Cage, does it stack up to the Netflix big guns? Also Arrow, Flash, WestWorld, games, and more! Welcome to episode 144 of Podcast vs Player, this week:Sega has announced the Genesis Mini--or Mega Drive Mini, if you're in Europe. The compact version of its classic 16-bit console will allow fans to indulge their nostalgia and play a range of old school games such as Sonic the Hedgehog, Castlevania: Bloodlines, and Gunstar Heroes on modern displays.Plus, the reveal of Borderlands 3 didn't go without its share of controversy. As part of the announcement, developer Gearbox and publisher 2K revealed that it would be exclusive to the Epic Games Store until April 2020. This led to a backlash in the form of review bombing older Borderlands games on Steam. Now Gearbox head Randy Pitchford has stepped in to let offenders know they may actually be making things worse for themselves.And more! 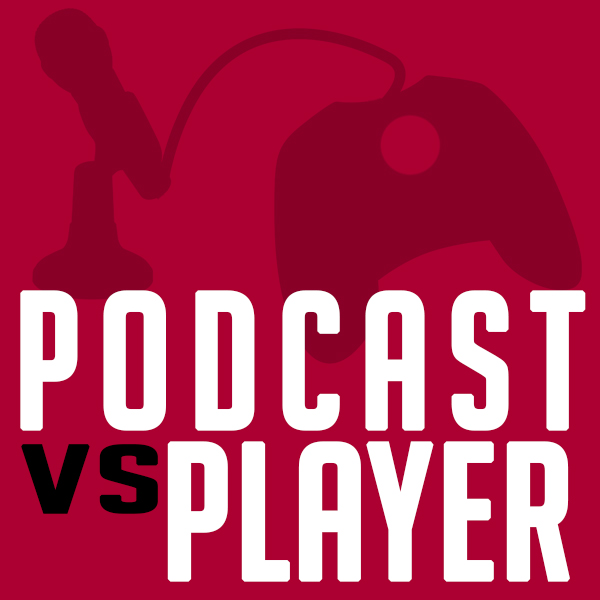 Welcome to Podcast vs Player #142! After the critical and commercial flop of the original Doom movie in 2005, many fans of the early-90s' first-person shooter game agreed the Doom universe was probably best left as that: a game. But if Hollywood is good for anything, it's bleeding a once-popular franchise dry, and with the game series' recent revival, someone somewhere decided we needed a movie reboot. Now the trailer for Doom: Annihilation has dropped, and it's a bit... meh.Plus, Disney’s dropped the new Aladdin trailer, and it really gives a first proper good look at the movie, instead of just awkward teasing. Try not to be surprised though, because after all, this a Disney remake: it just looks like the Aladdin you’ve known and loved for years, but not animated. Welcome to the PvP Podcast #141! This week: Pokemon Sword and Shield, Detective Pikachu, Cal saved a hedgehog and MORE! Happy New year! The first PvP Podcast of 2019 see's Cal and Dan tackle the hard hitting news, making some jokes and more! Recorded: 17.12.18 - The final podcast of 2018 see's Cal and Dan look back on some of the things that made 2018 a pleasant year; and also what made it dog balls. *Apologies for the louder than usual background music, it was fine when we exported it! Normal levels will resume!The beta for Red Dead Online is out, and it introduces several new multiplayer modes for players to try. One of the new additions, titled Make it Count, is Red Dead Redemption 2's take on a battle royale mode.--------------------------------------------------------------This podcast is sponsored by Blubrry, head to https://www.blubrry.com and use promo code PVP to get 1 month absolutely free! Welcome to Podcast vs Player episode 135, this week: Cal and Dan discuss the outcomes of the Golden Joysticks awards, plus, Pokemon: Let's Go Pikachu! and Fallout 76.--------------------------------------------------------------This podcast is sponsored by Blubrry, head to https://www.blubrry.com and use promo code PVP to get 1 month absolutely free! This episode was recorded 23/10/2018: Cal and Dan discuss the recent news that Netlfix have given the pair the boot. PLUS, the excitement of Red Dead Redemption 2, Daredevil Season 3 and more! --------------------------------------------------------This podcast is sponsored by Blubrry, head to https://www.blubrry.com and use promo code PVP to get 1 month absolutely free! Welcome to Podcast vs Player episode 132, this week: Venom Breaks Office Records, Jesus is found on a mountain, a man gets stabbed over a cucumber, and more! 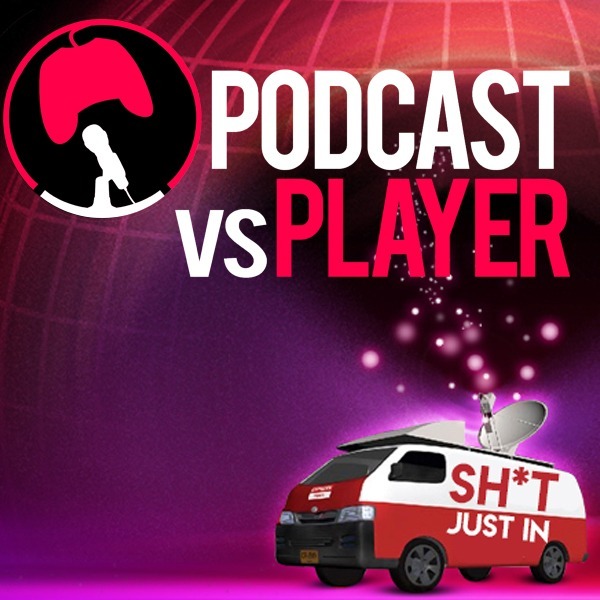 Welcome to Podcast vs Player #131! This week: Telltale are NO MORE!? New Joaquin Phoenix Joker thoughts, the taxman, Dan's animal facts from an easter egg, and MORE! Cal and Dan discuss the CyberPunk 2077 reveal gameplay, weigh in with their thoughts and opinions, plus more shenanigans! Welcome to the PvP Podcast #129! This week: Cal and Dan weigh in with their thoughts and opinions on Red Dead Redemption 2, gameplay details, online ideas and more! Welcome to the PvP Podcast #128! This week, Cal and Dan talk about the news that Patrick Stewart will be returning to a brand new Star Trek series! They also discuss gravy. San Diego Comic Con has been and gone, and with it a whole host on new stuff! Cal, Dan and Zoe discuss the tiniest amounts with Aquaman, Shazam! Glass, Disenchantment, Godzilla, Fantastic Beasts and more! Welcome to Podcast vs Player, episode #127! This week, Cal and Dan discuss the DC's new Titans trailer, the Uncharted "fan" film mini, Dan wants a scooter to glare at people, and more! Welcome to #126 of the PvP Podcast! This week:If you’re desperate for more Avengers: Infinity War, you’re in luck. According to Jim Starlin, creator of the Mad Titan himself, Marvel are planning to release a special edition Avengers: Infinity War Thanos cut in the near future – with over half an hour of new footage. Not too shabby, eh?Uwe Boll is going on a rampage against “Rampage.” The director, who specializes in video-game adaptations that tend to receive highly negative reviews from critics, has issued a statement on his website accusing the new movie — itself an adaptation of a video game — of “using his brand,” “brainwash[ing] America,” and “helping the military industrial complex.” Boll directed an unrelated trilogy of “Rampage” movies where a man decides to go on a killing spree, murdering innocent civilians.And more!